Twitter is a glorious universe, home to some of the best short puns and theatrical jokes on the internet. 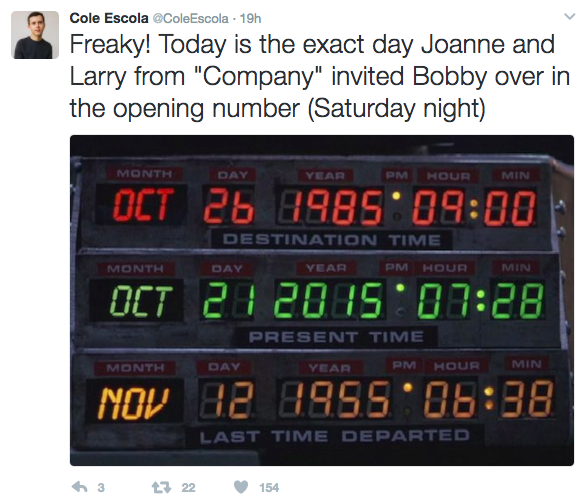 Here are some of our favorite hilarious theater-related tweets that are guaranteed to make you laugh and get you through your week! 1. When Lin Manuel-Miranda helped a kid in high school with biology. 2. When Laura Benanti bragged about her acting chops. 3. 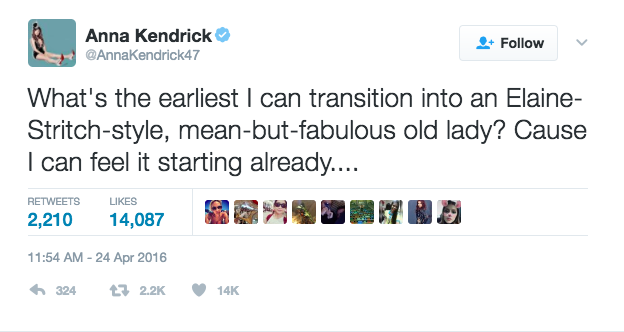 When Anna Kendrick hoped only for the best. 4. 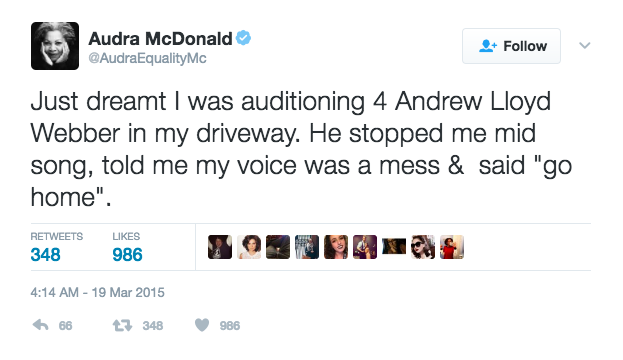 When Audra McDonald proved that everyone has scary dreams. 5. 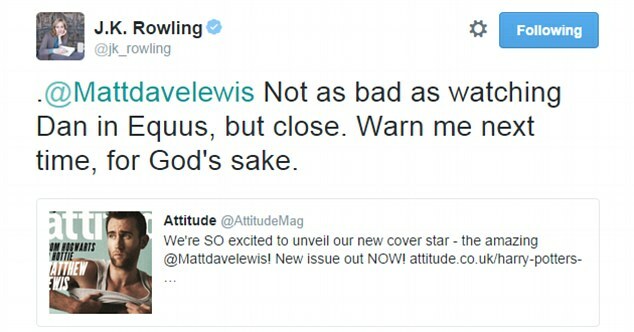 When J.K. Rowling horsed around with two Gryffindors. 6. 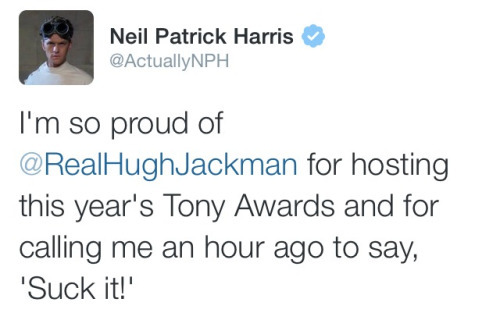 When Neil Patrick Harris and Hugh Jackman had a friendly rivalry. 7. When Jennifer Damiano said what we were all thinking. 8. When Cole Escola went Back to the Sondheim. 9. When Ariana Grande channeled Penny Pingleton before stepping out on stage. Want to make the next list? Tweet some hilarious gems to us @TodayTix. Be sure to follow us on Facebook as well for the most up to date information on discounted theater tickets!